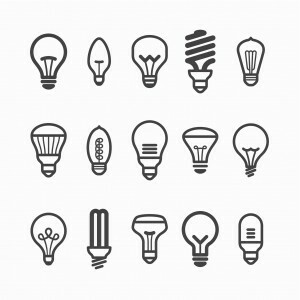 Energy Efficient Lighting: What’s The Deal With CFL and LED Light Bulbs? Lower that energy bill by installing CFL and LED bulbs this month! Lighting your home accounts for about a quarter of your electrical bill. With incandescent bulbs quickly phasing out, the general shift has been toward more efficient solutions for lighting homes. Compact fluorescent and light emitting diode bulbs are becoming the energy saving elites in households today, and, to no surprise, their pocket protection has brought them to the top as the preferred bulb choice. Understanding the seriousness of energy waste helps you gain perspective. Know how energy efficient lighting will save you time, energy, and most importantly, money! Read on to learn the difference between CFL and LED light bulbs, how they save energy, and the benefits they’ll bring to your home. How Does Energy Efficient Lighting Compare With Incandescent Lighting? Most commonly found in small, electrically-lit displays, light emitting diode (LED) bulbs emit directional light. This means they discharge light energy in one general direction and don’t have a filament, so they won’t burn out as quickly. The lifespan of LED lights surpasses incandescent bulbs by thousands of hours. They produce a large amount of visible light, and you’ll buy fewer bulbs over time compared with their outdated competitor. 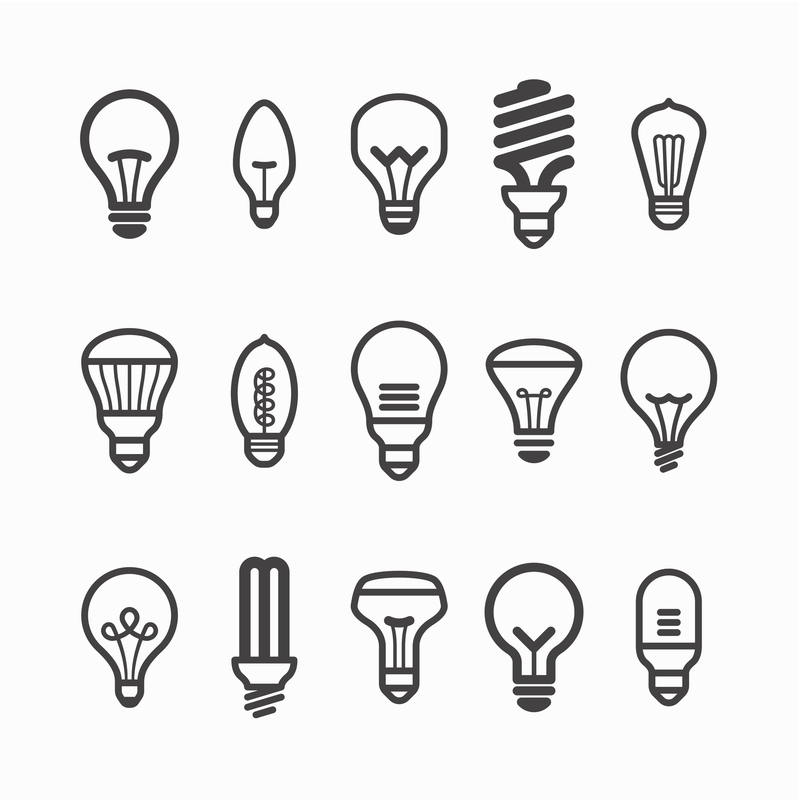 Compact fluorescent lamp (CFL) bulbs use a different form of light energy conversion than incandescent bulbs. An electric current runs through a tube containing argon and mercury vapor. This excites a phosphorous coating which generates ultraviolet light, which then emits visible light. Without the class filament-based conduction, energy efficient lighting has revolutionized long-lasting lighting. CFL and LED lighting is now available for all sockets, emitting much warmer light and heating up far less than their filament-based predecessors. After several hours of use, energy efficient bulbs will stay cool to the touch. The hotter your bulbs get, the more heat they’ll release. This will raise cooling costs because the accumulation of high heat releasing bulbs increases in-home temperatures and puts stress on fixture wiring. Those costly HVAC bills are a thing of the past with CFL and LED bulbs. With an increased lifespan, these bulbs don’t need to be replaced as often, so those frequent trips to the hardware store become the opposite. Infrequent bulb changing and decreased heat energy waste will keep those dollars in your pocket! “We have seen listings for LED bulbs that last 30 thousand hours and up to 50 thousand hours in higher end bulbs,” says David Crawford, owner of TriStar Electric and expert in the field. Bulbs can be implemented safely and quickly with the help of a professional electrician. Feel free to contact TriStar for your free in-home lighting and energy saving evaluation in your home or business. We have helped thousands of homeowners switch from traditional to energy efficient lighting. If you have any questions about Energy Efficient Lighting, please contact TriStar Electric, Maryland’s premier residential and commercial electrician, by calling 410-799-5791 or 301-384-8880or fill out the contact form on our website. You can also follow TriStar Electric on Facebook, Twitter,Google+, LinkedIn, Pinterest, and YouTube. This entry was posted on Tuesday, June 21st, 2016 at 1:26 pm. Both comments and pings are currently closed.